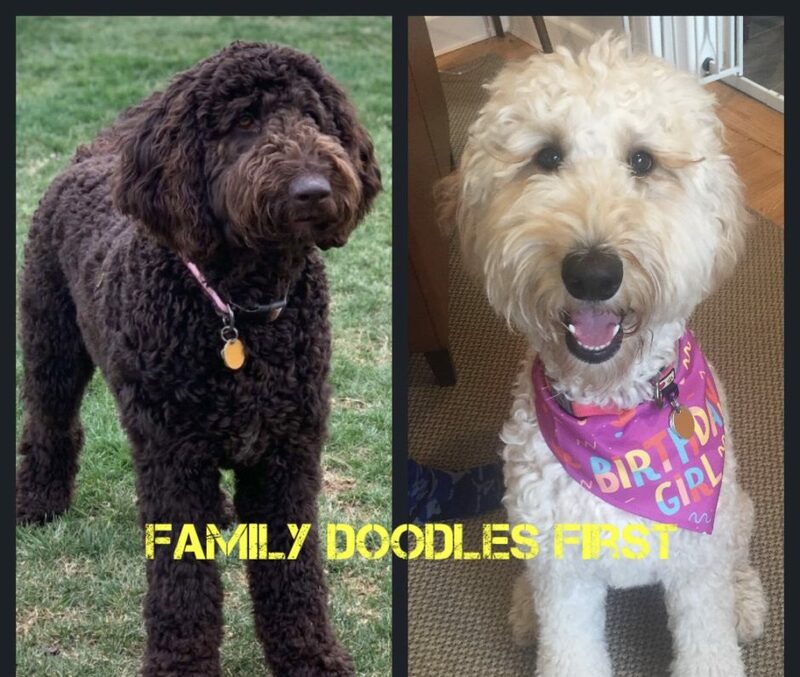 "Building families one doodle at a time!" We will house and care for the puppy/dog daily in our home. While the puppy/dog is in our care, we will provide one 30 min walk per day. We will provide daily needs, up to and including feeding, potty breaks, and play time. We will keep your beloved fur baby happy, safe, and healthy. A $25 reserve is required to book your time for puppy sitting. Puppy sitting requires a 2 day/night minimum stay. At the time of bringing your pet to our home for their stay, proof of UTD vaccinations will need to be provided. Food will need to be provided for the stay as well. It is important for the dog to maintain their same diet to avoid any upset stomachs. We also ask that you provide your dog’s feeding and watering bowls. We have all other materials necessary for caring for your pet in our home. For further information regarding our puppy sitting program, please contact us via email, Facebook, or phone. Thank you in advance and we look forward to working with you and your pet.